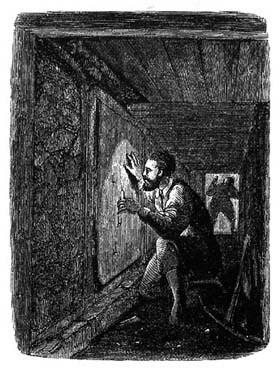 Walter Juvelius, a Finnish poet who was fond of spiritualism and biblical archaeology, believed he had found a coded scritural passage indicating the place where King Solomon's treasure was kept. According to the passage, which he found in an ancient version of the Book of Ezekiel, the temple priests had hidden the treasure in a cave outside the city accessible by a secret tunnel. The two men decided to search for the treasure together. 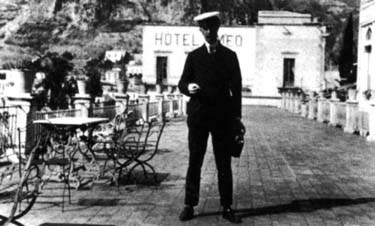 Thanks to his connections, Parker managed to collect $125,000 from various English and American financiers; he then proceeded to Constantinople to get excavation permits from the Ottoman Government. In Constantinople, he came to an agreement with two high officials from the Sultan's Court and promised them half of the treasure. Parker arrived in Jerusalem. 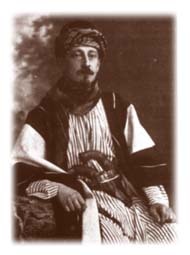 He found the Turkish governor, Azme Bey, eager to collaborate, having realised how much money was involved in the project. With the help of a few Turkish guards, Parker secretly reopened the shaft Warren had excavated in 1867. In order to placate other foreign archaeologists working in Jerusalem at the time, he asked one of the most important experts on ancient Jerusalem - a Dominican friar called Père Vincent - to help him in his research. The excavation went on for a few months with no results and Parker's two Turkish partners went back to Constantinople. The Jerusalem authorities gave Parker a deadline for the end of the summer of 1911. Parker intensified the excavations at the shaft; they were now working day and night. Unfortunately, they found neither the tunnel connected to the esplanade of Solomon's Temple, nor the treasure. In search of the Temple treasures.